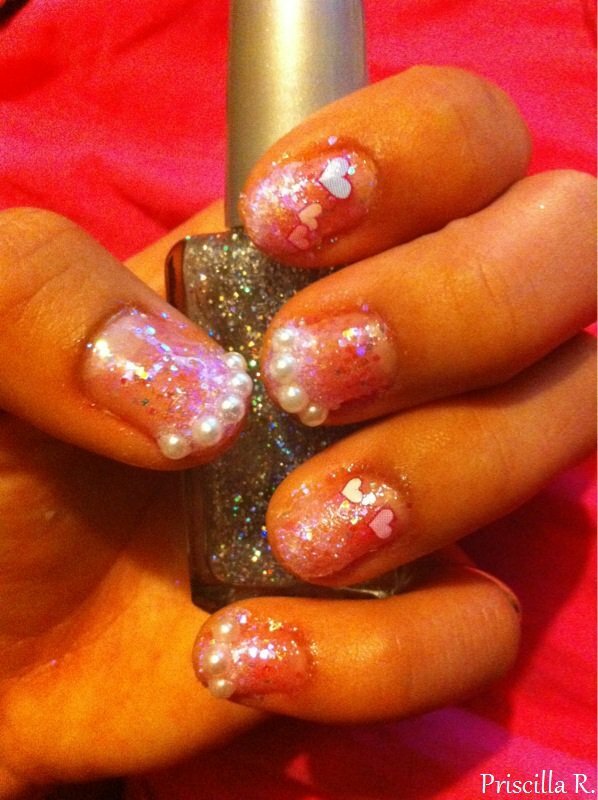 One coat of clear nail polish, clear loose glitter, pink loose glitter, 2mm pearls, and a clear top coat. 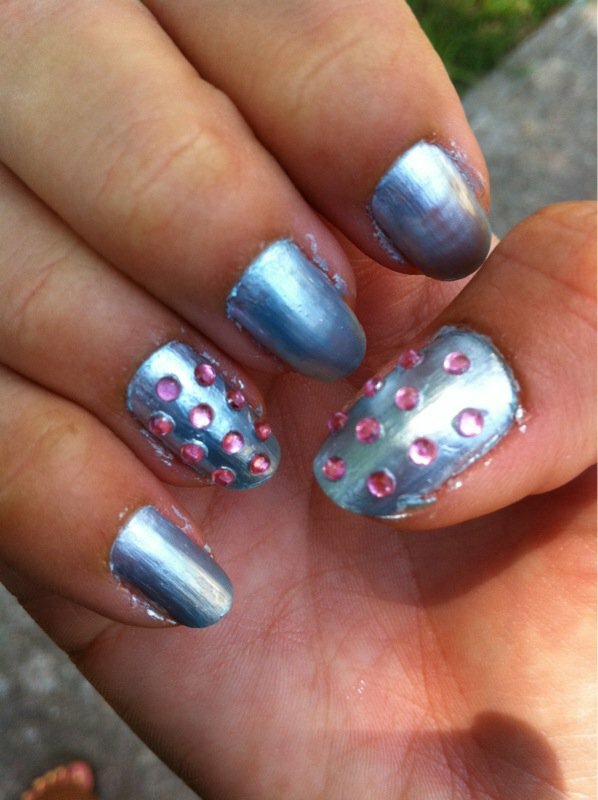 Messiest nail painting process I’ve ever experienced. 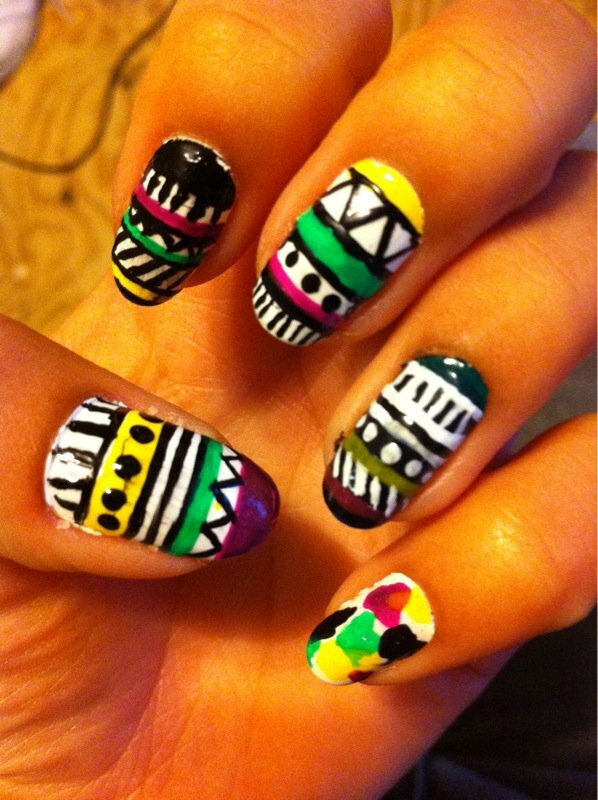 White or black nail polish for the base, various nail art brushes, and a clear top coat. 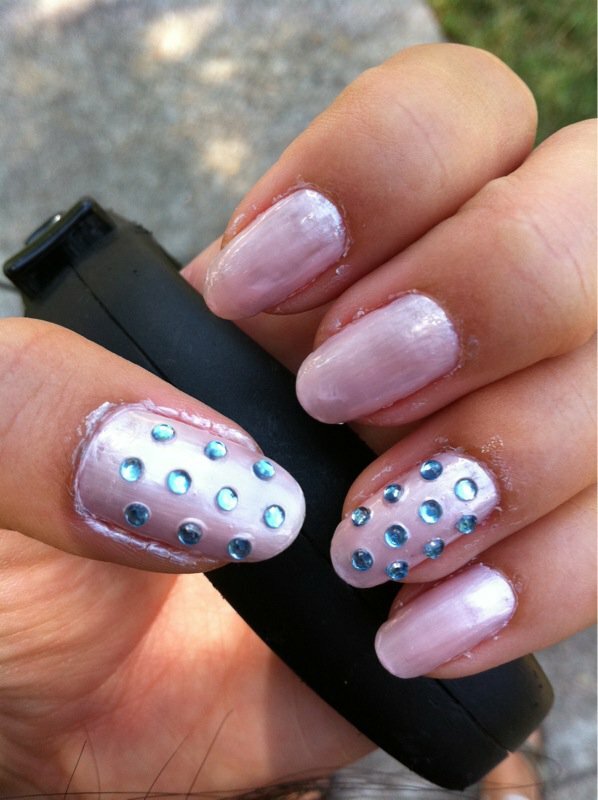 3 or 4 coats of cherub and sky blue nail polish as the base, light blue and light pink rhinestones for the thumb and ring finger, and a clear top coat. 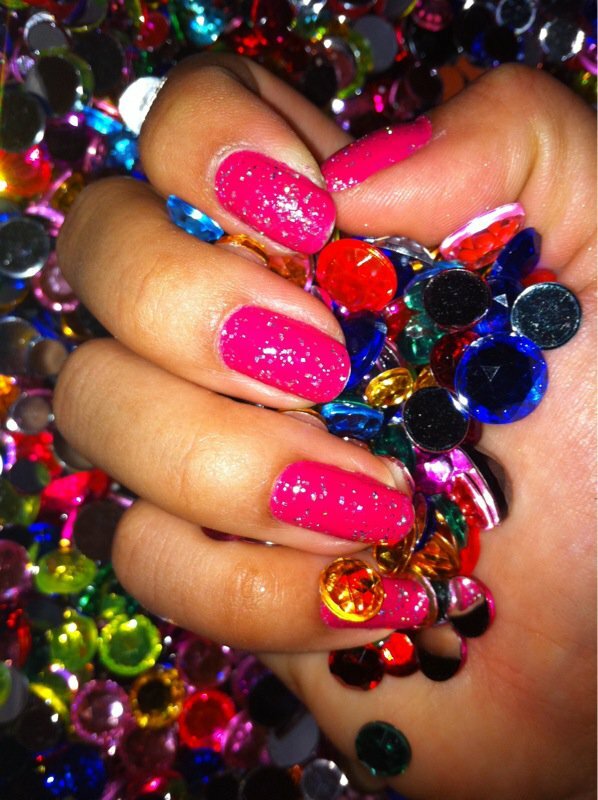 2 coats of hot pink nail polish for the base, and one coat of large glitter nail polish.